Odense Motetkor was established in 1932, since when it has constantly been developing and on the move. 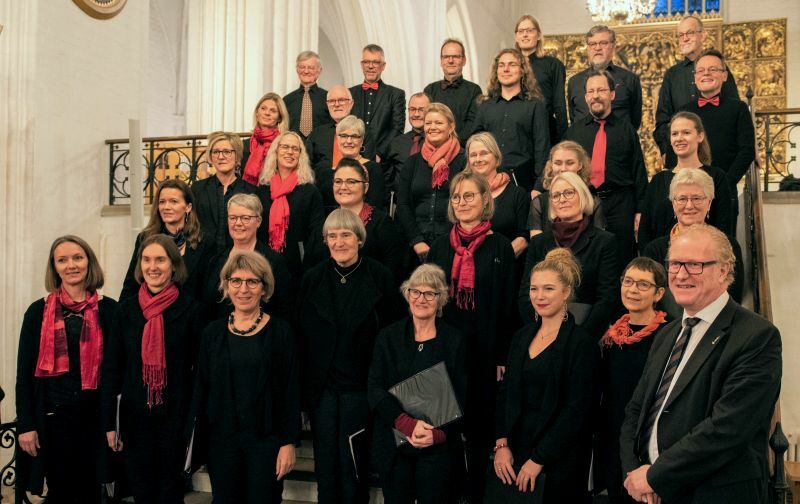 The choir is known for its beautiful sound and its ability to successfully take on even demanding assignments within the classical repertoire. 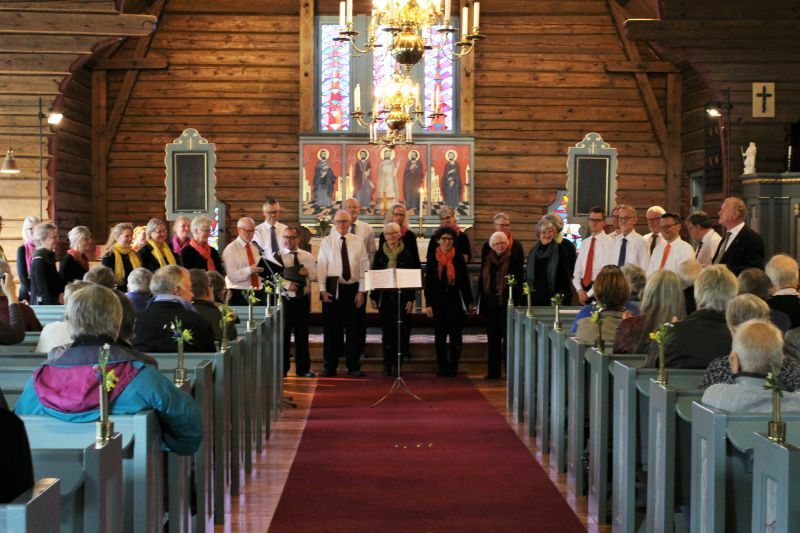 This means that singing in Odense Motetkor, although a spare-time interest, also calls for a high degree of commitment. 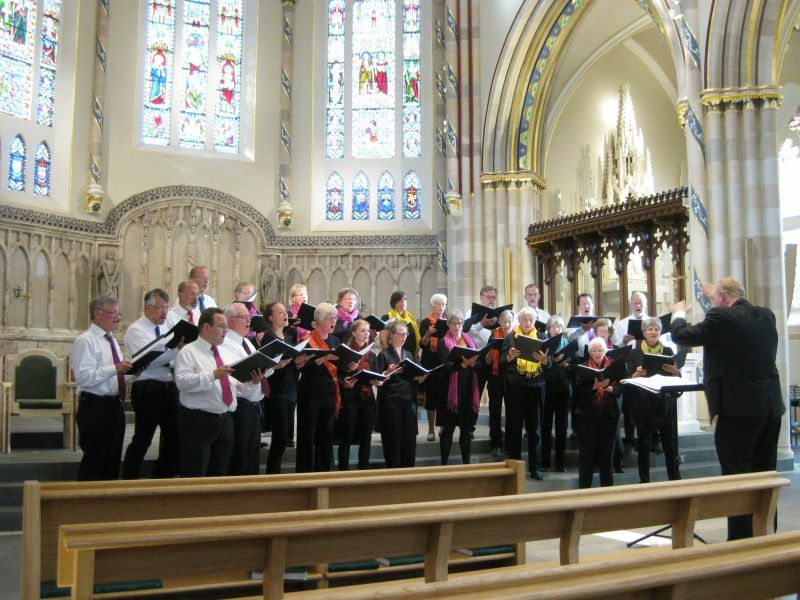 The choir comprises at present about 37 members, with singers both young and old being represented in its four voices. 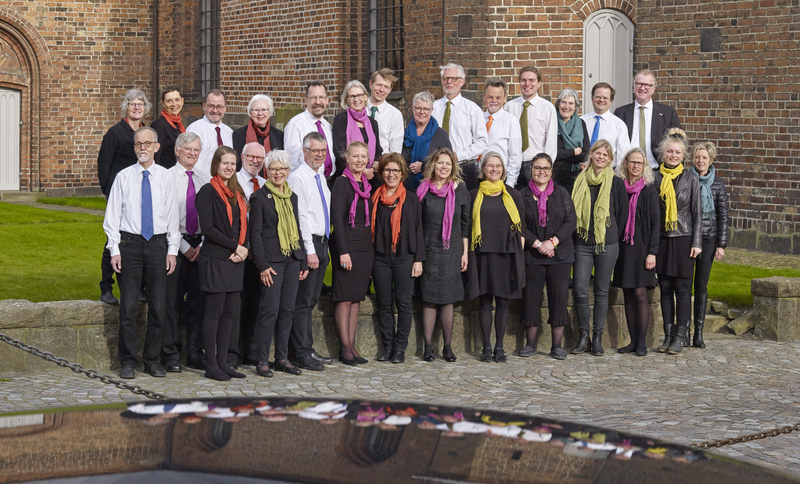 This combination of young voices and considerable experience is one of the choir's greatest assets. 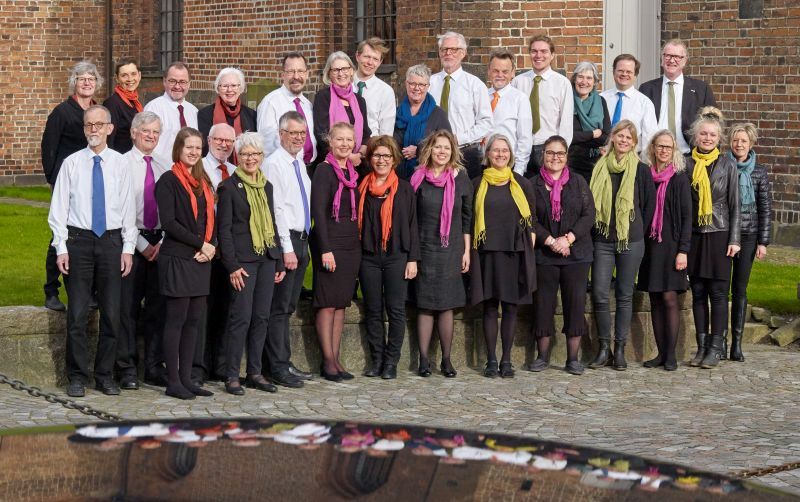 We give about 10 concerts a year, and since travelling has always been a feature of the choir, we try to go on a concert tour every other year. 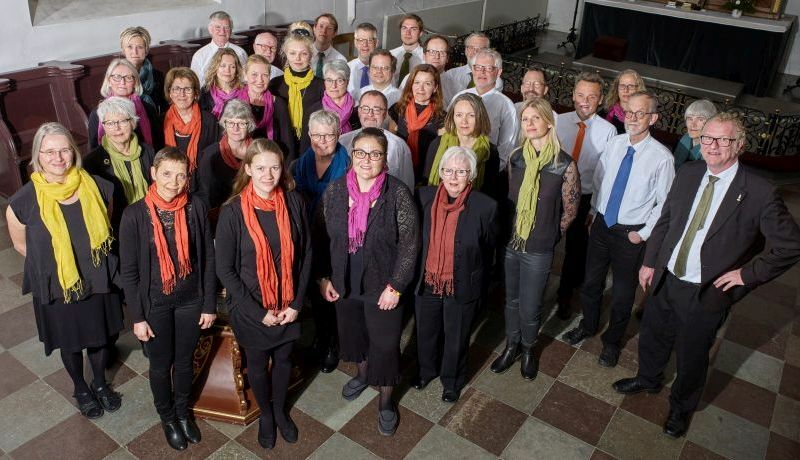 Odense Motetkor's repertoire covers a wide range of classical choral music. 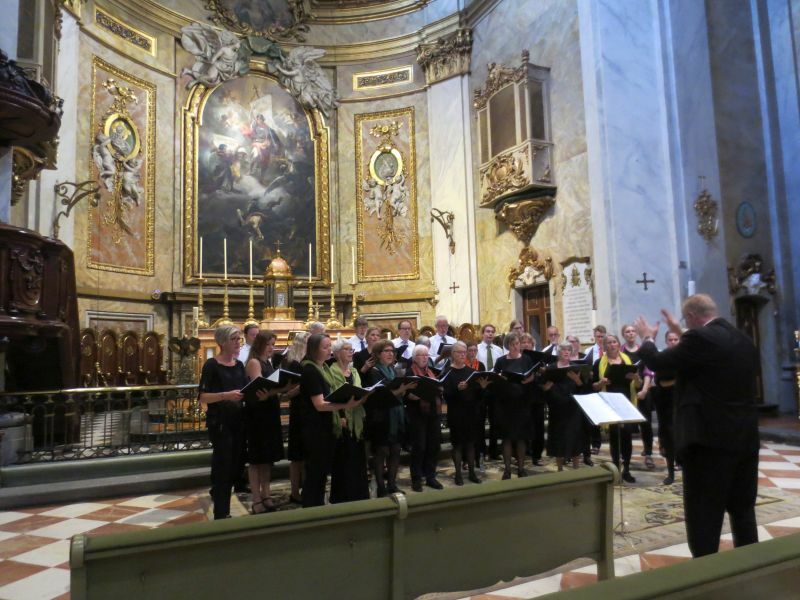 The choir sings church music from the Renaissance, the baroque and classical periods as well as present-day church music. 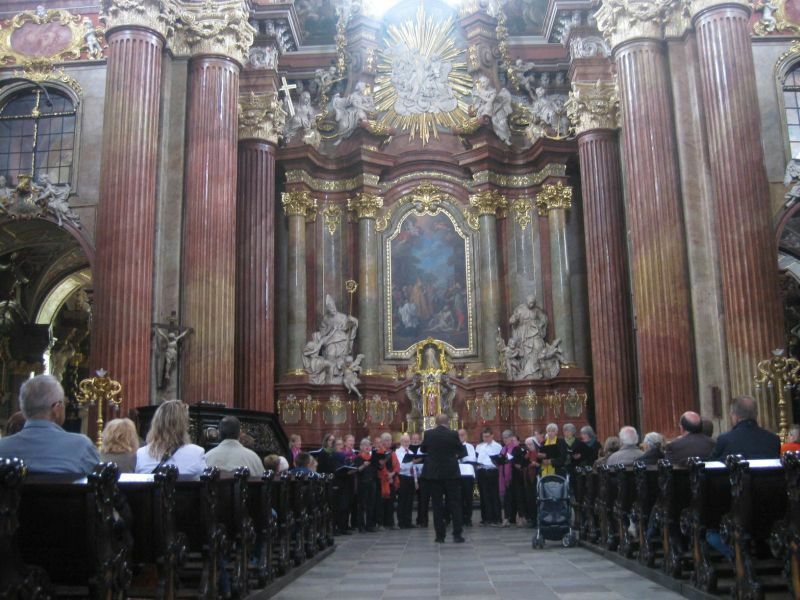 Secular music from many times and places also features strongly on the repertoire list. 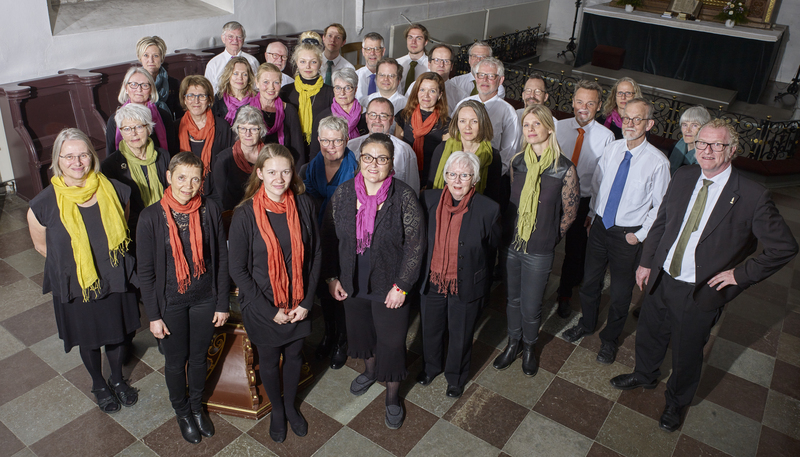 The choir has not least concentrated on contemporary music, and has given first performances of a number of works by living composers. 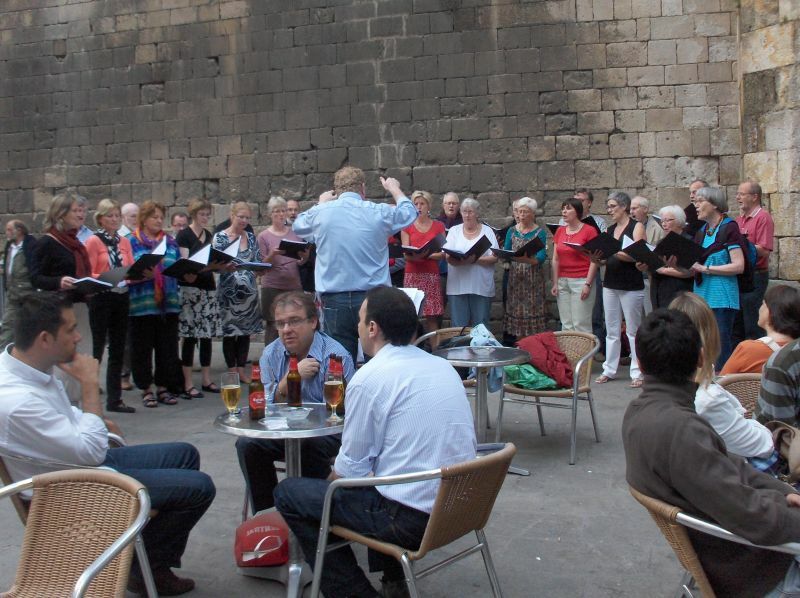 But, no matter what the choir is involved in, its prime aim is to ensure that the music breathes and comes alive.